This is the 1991 version of the ‘Zilla that appeared in Godzilla vs. King Ghidorah. 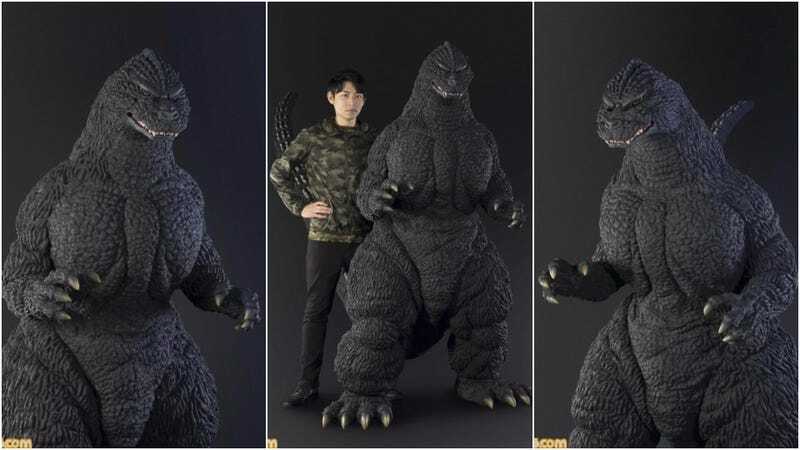 A scan was taken of a 30cm version done by Yuji Sakai, who is one of Japan’s greatest kaiju sculptors and who also oversaw this human-sized version. That data was then used to create this version via a high precision 3D printer. The detail is incredible, and great attention was not only given to form but also color.